Have you ever been told that you were a failure? That you wouldn’t succeed? That you didn’t have what it takes for your dream to be successful? That you were delusional for thinking that this time could be different? I have. It’s unkind and very hurtful. Yet, once the shock and disbelief subsided, became one of those enlightening and life changing moments in my life. I just love the liberating sense that it is often through our scrapes and bruises, our errors and mistakes, our stumbles and confusions, our hurts and tears, our anxiety and wounds – it is often through the time we spend in the shadow that our wisdom grows. As with most things in life, events and our experiences don’t always happen the way we think they will; but what does happen, is usually where the good stuff is. So go ahead – seek out experience and stumble – your life is waiting for you! Recently, Mike and I watched a very inspiring documentary about the pursuit of a dream and the events that led to it becoming a reality. 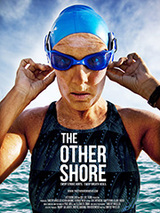 It’s the story of Diana Nyad and her lifelong quest to swim from Cuba to Key West, Florida. On her fifth attempt in September, 2013 her dream was realized. You can read more about her journey here or hover over her photo on the right for a link to the movie. Suffice it to say, surround yourself with people who believe in you, who encourage and support your efforts, who will listen to your rants without judgment when you’re struggling. The ones you can lean on when you’re just plain exhausted, who will stay by your side and give you the space to recalibrate yourself. And most especially during our lowest of lows – these are the relationships worthy of nurturing, as they are the richest relationships you’ll ever know. 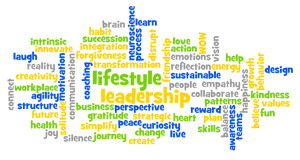 Consensus reality or the hurtful words of others do not define you!!! The choices that we think we have available to us are generally interpreted as the only ones possible. One of Albert Einstein’s more famous quotes “We can’t solve problems by using the same thinking we used when we created them” gives pause to the value in thinking outside the box. 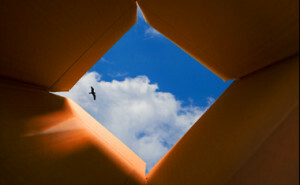 I encourage you to bust out of old beliefs and free yourself to look and live happily outside of the box. Consider your usual assumptions as the starting points to a journey of discovery rather than an old story with a predetermined ending. Imagine that you have a mental laboratory where you get to experiment with what if ideas, the ones that don’t make sense right now but might prove meaningful later. 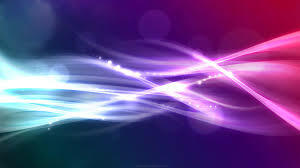 Give yourself the freedom to speculate, to be outlandish and crazy, to explore the possibilities. In the end, if it’s not alright, then trust me – it’s not yet the end…..
As 2013 comes to a close and we begin thinking about our resolutions for the upcoming New Year, consider giving yourself the gift of what if. It’s when you escape conventional thinking that you’re most likely to come up with the most brilliant and valuable answers. Your thoughts and ideas may arrive as messy, strange and sometimes uncomfortable notions at first. Don’t habitually reject them out of hand. Let’s connect for a more in depth conversation and discuss designing a lifestyle and leadership development plan that is unique for you and/or your team. 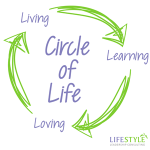 You may also like to Join our mailing list to receive our “Living – Learning – Loving” newsletter. Each month, we’ll explore a new theme with a selection of additional resources featured. The use of Einsteins quote is brilliant. Thanks for stopping by Chris and good luck with your 2014 projects! I look forward to hearing more soon. Merry Christmas & a Happy New Year to you and the family. 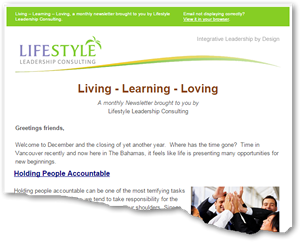 "Living-Learning-Loving" by email each month.